Fill in your details below and we will let you know within 24 hours if we can get Chemistry Fluxx to you with haste! 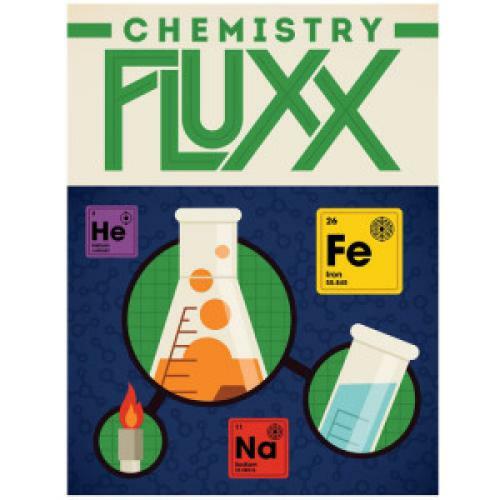 Chemistry Fluxx is the elemental card game where the rules are always changing. Use atoms and laboratory gear to match the current goal and win! Chemistry Fluxx is the perfect compound of chance and skill, where you'll not only be playing with elements and molecules, you'll also be learning about them! Chemistry Fluxx is so much fun you'll be playing it more than just periodically!